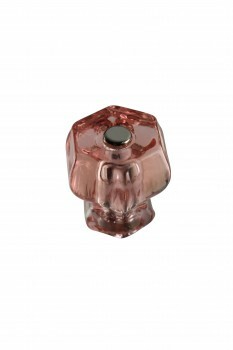 Features an attractive, pink glass design? Includes a chrome screw for mounting? 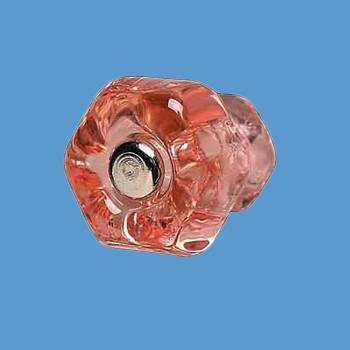 Depression pink glass cabinet knob has a chrome screw. 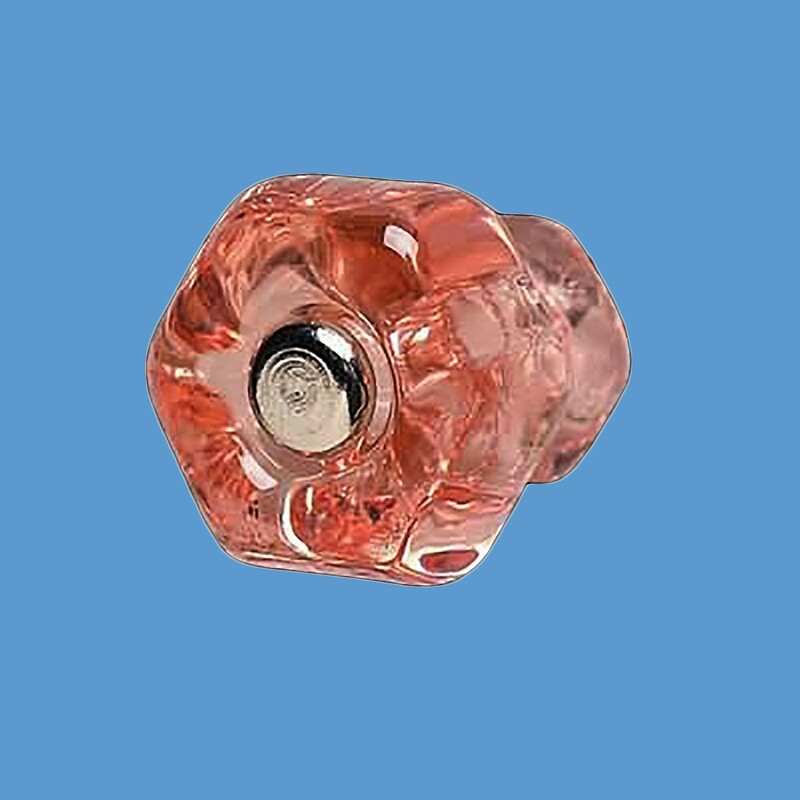 The head of the screw and the knob are flat. 1-1/4 in. diameter knob.